Valentine’s Day is fast approaching, and it’s a great reason to spend time in the kitchen with the kids creating some fun! January and February are the months when the winter doldrums may strike, so people are always looking for activities to alleviate the boredom. Why not join Diane’s Candy and Cake Supplies in Barberton, Ohio, for some cupcake and cake decorating classes? Whether a teacher in Copley, Ohio, has an annual tradition of making treats for Valentine’s Day for her students or it’s someone’s birthday in a Portage Lakes, Ohio, office and a coworker wants her favorite Disney character on a cake, this local baking supplier can provide everything necessary. Individuals can buy handmade candies at Diane’s or choose from the best selection of candy making and cake decorating supplies — including ingredients for candy and hundreds of molds, as well as icings and pastry fillings. The owner has been perfecting impeccable cakes for any occasion for Akron, Ohio, and beyond for over 25 years and is now licensed to process registered and trademarked edible images. Any advanced or beginning baker can visit Diane’s Candy and Cake Supplies’ website or store for anything necessary to complete their baking project! It’s February, but winter is far from over in Akron and Copley, making leaving the house for something fun and educational a great solution to cabin fever. Diane’s Candy and Cake Supplies is offering a variety of cake decorating classes for those who would like to learn more techniques or to hone their skills. 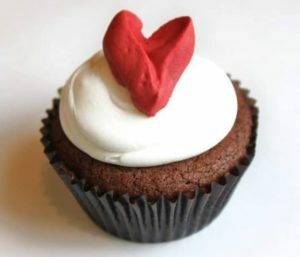 Individuals who attend the Valentine’s Day Cupcake Class on February 12th, 2017, at 1:30 pm can take home the six cupcakes they decorate. For only $15, this local baking supplier will provide the cupcakes and ingredients with guidance on fun ways to decorate with sugars, glitters, and icings! At 10 am on February 19th and 21st, the 25-year cake decorating veteran will host a Wilton Intermediate Cake Decorating Class. This two-day class provides attendees with a Wilton Kit and workbook along with the direction of a Certified Wilton Cake Instructor. Anyone can call 330.848.6677 to reserve their seat for these fabulous events! This local baking supplier not only carries one of the biggest inventories of ingredients and candy molds for candy making and cake decorating, but they also create cakes, cupcakes, and handmade candies. 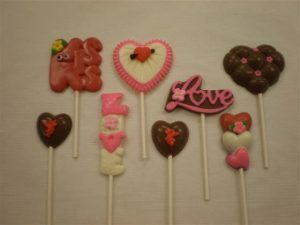 Perhaps a homeroom mom in Barberton would like to distribute handmade heart-shaped chocolate suckers at her child’s school or someone in Portage Lakes has recently gotten engaged, Diane’s Candy and Cake Supplies has been creating and perfecting wedding cakes and creating treats for Valentine’s Day for over 25 years. They now have a catalog in their store with registered and trademarked edible images for that perfect customized Disney character or other character to place on a cake to make their child’s special day even better — including Justice league, Barbie, Batman or Marvel characters. They also carry images to print on edible frosting sheets to apply to cakes, cookies, or cupcakes. Check Diane’s Candy and Cake Supplies’ Facebook Page to see when their upcoming Fondant Cake Class will take place. Regardless of whether someone loves to make their own cake and candy, or they simply want the best made for them, Diane’s Candy and Cake Supplies can provide any range of services. 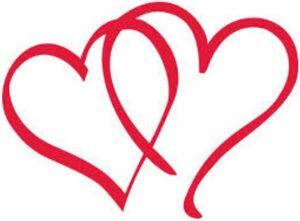 Individuals from Portage Lakes, Ohio, to Akron, Ohio, can peruse the vast array of ingredients for candy and molds for making their own treats for Valentine’s Day, or simply visit this local baking supplier to pick from the wide selection of delicious handmade choices. Anyone can reserve a seat to add to their repertoire at the cupcake and cake decorating classes that are coming up in February, or they can find exclusive Disney character cakes for which they have been searching. People from Barberton, Ohio, to Copley, Ohio, who frequent Diane’s Candy and Cake Supplies never have the need to visit anywhere else for any candy making and cake decorating supplies to finish any project! This entry was posted in Bakery, Baking Supplies, Candy, Cooking Classes, Education, Grocery, Shopping and tagged cake decorating classes Portage Lakes Akron Barberton Copley Ohio, candy making supplies Portage Lakes Akron Barberton Copley Ohio, candy molds Portage Lakes Akron Barberton Copley Ohio, Christmas cake decorating class Barberton Norton Wadsworth Doylestown Ohio, Diane’s Candy and Cake Supplies, Disney characters on cakes Portage Lakes Akron Barberton Copley Ohio, ingredients for candy Portage Lakes Akron Barberton Copley Ohio, local baking supplier Portage Lakes Akron Barberton Copley Ohio, treats for Valentine's Day Portage Lakes Akron Barberton Copley Ohio by admin. Bookmark the permalink.